Ko’ula condo owner-occupant sales begin today. With most of the investor units sold, there is anticipation for the owner-occupant sales at the Ko’ula condo. The building will have 565 total units, and half were designated as investor units, and the other half are owner-occupant units. By state law, these units need to be offered to owner-occupants for the first 30 days. Any remaining units, then either an owner-occupant or investor may buy these units. Potential Buyers began lining up early in the morning after seeing the announcement in the paper to get an appointment to purchase a unit. Those that arrived early were able to get a unit they love. The Ko’ula condo building will have a studio, one, two and three bedroom units. The prices were starting in the upper $600,000s and go up to about $2,500,000 for the highest three-bedroom unit. Similar to the A’ali’i design, there is a tower section where most of the units are located. Then there is a lower podium section essentially below and adjacent to the amenity deck on the eighth floor. There is a limited number of 3-bedroom units in the building. With only one three-bedroom unit per floor and views facing Diamond Head and to the ocean, it is a very popular unit. The 3-bedroom investor units sold very quickly, and it is expected the 3-bedroom owner-occupant will do the same. The floor pan is lovely with the master suite separate from the other bedrooms. The three-bedroom floor plan also has two spacious lanais. 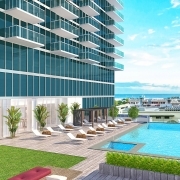 This new Honolulu condo, the latest offering in Ward Village, is genuinely an exciting building. It will be luxurious, and yet with smaller unit sizes, it is expected the maintenance fees will be more affordable than units at the Anaha. Plus the design of the building designed by award-winning Studio Gang moves the supporting structure to the exterior of the building. This design eliminates the interior columns inside the unit. It is a design that people have been very pleased with. Yabu Pushelberg has been retained as the interior designer for the building and the team focuses on rich natural colors and textures. Along with designing the interior spaces, lobby, hallways, and common spaces, they are also offering furniture packages. This idea is the latest concept, so buyers can have their units fully furnished down to the linens and kitchenware. How wonderful to just walk in and be at home from the first moment. 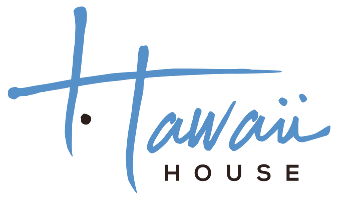 If you are interested in the Ko’ula condo, then please let me know because there is a beautiful model to view, along with a scale model and furniture examples. It gives you a real-world taste of how the new units will feel.